Quintin P. O’Dell of Northland has admitted to the killing of Alissa F. Shippert and sexual assault of another woman. By admitting to these crimes and sparing a long criminal trial, O’Dell will avoid the death penalty and be sentenced to life in prison. O’Dell, who was Shippert’s coworker, attacked and killed the 22-year-old in 2011 along the Platte River area with a hatchet. Shippert and O’Dell were considered to be friends, as both worked at the Casey’s Store in Platte City. O’Dell also sexually assaulted another woman several months later, disemboweling her with a razor blade. O’Dell slashed the woman’s abdomen in her living room, causing her intestines to fall out. After surviving the attack, the woman was able to identify O’Dell to police. O’Dell had attended high school with the victim. Prosecutors have yet to determine what the motives were behind O’Dell’s attacks, but he has been put on medication for a bipolar disorder. Prosecutor Eric Zahnd originally sought the death penalty as a result of O’Dell’s heinous crimes, but the families of the victims did not want to go through a long, drawn out trial that had the possibility of multiple appeals. O’Dell’s murder count carries an automatic sentence of life in prison without parole, and he was also charged with first-degree assault, 100 years each on two counts of armed criminal action and seven years for deviate sexual assault. The sentences will run consecutively, which guarantees that O’Dell will spend the rest of his life in prison. 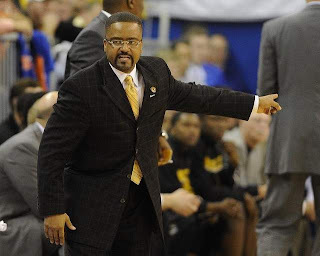 Recently, it appeared that the NCAA was close to taking action against Frank Haith, current basketball coach at the University of Missouri and former coach of the University of Miami. The allegations stemmed from an NCAA investigation into Miami’s athletic department, and it was widely believed that Haith was expected to face NCAA charges for unethical conduct and a show-cause penalty. However, in a stunning turn of events, the case against Haith has been put on hold by the NCAA due to misconduct by its own rules enforcement staff. Basically, the NCAA is punishing itself. The misconduct stemmed from how the NCAA enforcement staff obtained their information in the Haith case. Details were improperly obtained through a federal bankruptcy case – an area in which the NCAA does not have subpoena power. Worse, the enforcement staff paid defense attorney Nevin Shapiro for the information. Shapiro is currently in prison for his role in a Ponzi scheme, and is a former Miami booster who accused Haith of being involved in payments going towards players and recruits. This turn of events should help Haith keep his coaching job at Missouri, as the case is both suspended for the time being, and weakened by the actions of the NCAA. Just a few days ago, it appeared that the allegations against Haith could be enough to force Missouri to look for a new basketball coach. Now, Haith will at the very least be able to finish coaching the Tigers this season, while his legal team has ammunition to attack the NCAA and its infractions committee. The ruling on the NCAA could also lead to legal action regarding other significant actions college sports’ governing body has made. Pennsylvania Governor Tom Corbett is suing the NCAA to void the sanctions leveed on Penn State as a result of the Jerry Sandusky scandal, and more lawsuits against the NCAA could follow. 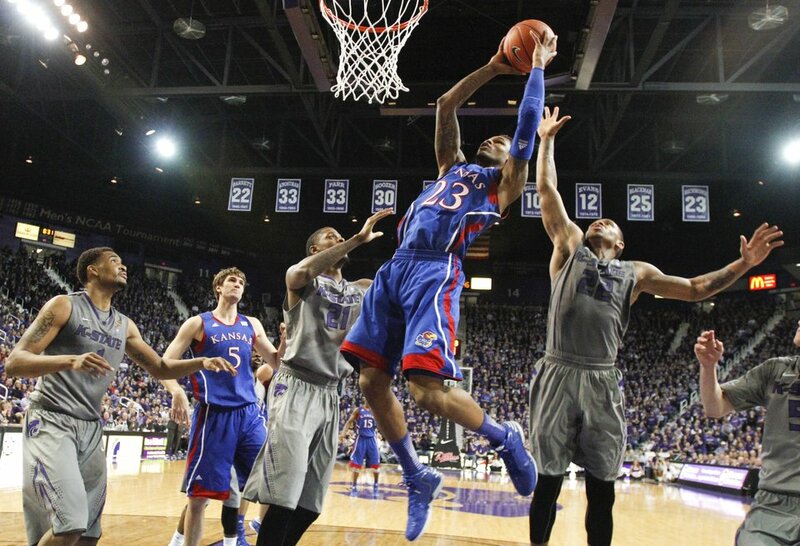 Kansas seized early control of the Big 12 conference race last night, edging Kansas State 59-55 in Manhattan. 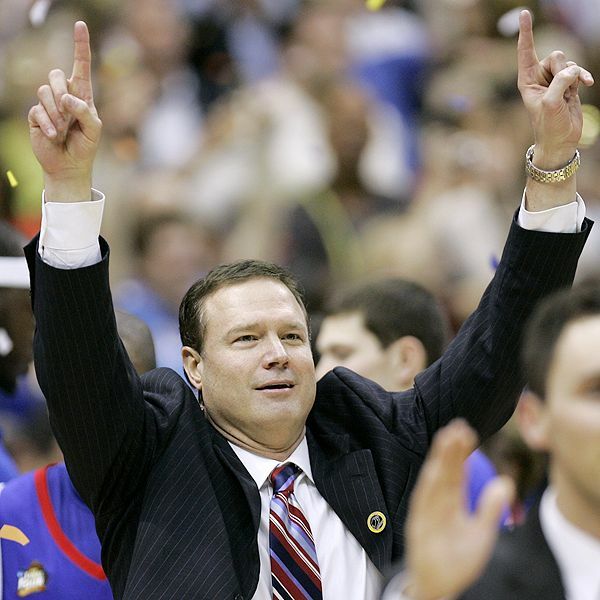 The Jayhawks have now won 16 straight games, and are still unbeaten in conference play. 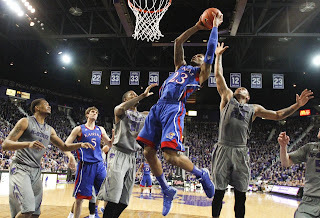 KU has won 45 of its last 48 games against KState, including a 23-2 mark in Bramlage Coliseum. During the second half, it appeared that the Jayhawks were going to put the Wildcats away for good thanks to Ben McLemore. The redshirt freshman, who will be an early in pick in next year’s draft, scored five consecutive points to give Kansas a 10 point lead. However, KState got an answer from Shane Southwell, who hit consecutive three pointers to keep the Wildcats close. Southwell, who had a career high 19 points, also got KSU within three late, however KU closed the game out at the free throw line. The 59 points were a season low for Kansas, and concerns about the team’s offense continue to grow. Kansas is averaging only 61 points per game in its last four contests, relying on its stout defense to grind out wins. While KU’s defense will keep them in every game, Bill Self will have to address the offense and try to get better play out of senior point guard Elijah Johnson, who has struggled mightily in conference play. On paper, this is the toughest regular season game the Jayhawks had remaining, and the win now makes them heavy favorites to claim a ninth-straight Big 12 title. KU will face Oklahoma at home on Saturday, which should provide the team with another tough test. The Sooners are 4-1 in conference play this season, including impressive recent wins over Oklahoma State and Texas. KState will have to regroup quickly, as they travel to Ames on Saturday to face Iowa State, who also only has one loss in conference play – which came in overtime in Lawrence against Kansas. The stakes are higher than normal for this year’s first installment of the Sunflower Showdown, as (3) Kansas and (11) Kansas State will be playing for sole possession of first place in the Big 12. Both schools are currently undefeated in league play. Despite riding a nation-leading 15 game winning streak, the Jayhawks have struggled recently, squeaking out narrow victories over Iowa State and Texas. Kansas has struggled offensively, yet has been bailed out routinely by a great defensive effort led by the nation’s best shot blocker, Jeff Withey. Kansas does have the potential to get hot on offense, especially if freshman Ben McLemore, who leads the Jayhawks in scoring with 16.4 ppg, can get into a groove. The Wildcats have won eight games in a row, and senior Rodney McGruder has been largely responsible for KSU’s recent surge. McGruder is averaging 15.5 ppg this season, and has been on a tear since conference play began. McGruder will most likely draw Kansas’ Travis Releford, who is one of the best perimeter defenders in the entire country. In the Wildcats two meetings with the Jayhawks last season, McGruder struggled, shooting only 9 of 30 from the floor and 1 of 7 from three. If KState is going to turn the tide against KU, he will have to find a way to be a factor offensively. The Jayhawks are a ridiculous 22-2 in Bramlage Coliseum since it opened in 1987 and have won 44 of the last 47 meetings. While KU has struggled offensively lately, they still have more firepower than KState and could be due for a big game. The matchup between Releford and McGruder will be the key to this one. If McGruder can continue to play well, KState will have a strong shot at the upset. If Releford once again shuts McGruder down, it may likely be business-as-usual for the Jayhawks in Manhattan. New Chiefs general manager John Dorsey has hit the ground running in his new role, signing two free agents recently. Kansas City has acquired defensive tackle Daniel Muir and offensive tackle Steven Baker. Muir began his career with the Green Bay Packers – where Dorsey spent the last 21 seasons – as an undrafted free agent. He is best known for his time in Indianapolis, where he played for four seasons with the Colts and started for them in Super Bowl XLIV. Muir spent last season with the New York Jets, where he failed to gain any significant playing time. In his six year career, Muir has appeared in 46 games while making 26 starts. Kansas City also signed offensive tackle Steven Baker, who was signed by the Indianapolis Colts as an undrafted free agent last season but was released just before the regular season began. Baker played his college ball at East Carolina, and spent last season on Arizona’s practice squad. The signing of both players, especially Muir, seems like an attempt to add some depth and competition. It is unlikely that either player will become a significant contributor for Kanas City next season. New Chiefs defensive coordinator Bob Sutton was a defensive assistant for the Jets last season, so it is possible that he saw something in Muir that made him worth pursuing. At the very least, Sutton will have an experienced player who knows his scheme and can help bring the other defensive lineman up to speed. Many expect the Chiefs to begin addressing several other positions of need via free agency, including wide receiver, cornerback and possibly quarterback. The players the team signs in free agency may also provide Chiefs fans with a more clear picture in regards to who the Chiefs will target in the 2013 NFL draft. With the end of the NFL season only a few weeks away, draft talk is starting to heat up. Holding the top selection in the draft, the Chiefs have been the center of a lot of speculation regarding who they may pick. While many fans think the team should draft its quarterback of the future with the top pick, several draft experts are now predicting that Kansas City will trade down or select Texas A&M left tackle Luke Joekel. ESPN draft analyst Mel Kiper believes only four players are worthy of the top overall selection: Georgia OLB Jarvis Jones, Texas A&M OLB Damontre Moore, Utah DT Star Lotulelei and Joekel. Kansas City already Tamba Hali and Justin Houston as pass rushers in the team’s 3-4 defense, and has drafted a defensive lineman in the first round three of the past five years. It is also unknown at this time if the team plans on resigning left tackle Branden Albert. If the Chiefs draft Joekel, they could release Albert or resign him and move him to right tackle or guard. The biggest question new Chiefs GM John Dorsey and coach Andy Reid will have to make is whether the top two quarterbacks available – Matt Barkley and Geno Smith – are worth the top overall pick. Most draft analysts think the two quarterbacks are top ten material, but not worth the top pick in the draft. This presents the Chiefs with an interesting option - the team could potentially trade down a few spots in the first round and still get either Barkley or Smith. While they wouldn’t get a ransom mirroring what Washington gave up to move up and select Robert Griffin III, the team could end up with its quarterback of the future and an extra draft pick or two. The Chiefs would have to find another team desperate for a pass rusher or left tackle to make a deal. There will also be several veteran quarterbacks looking for a starting opportunity this offseason and the Chiefs may opt to go with one for the next couple of years and wait to see if it can find a quarterback in a future draft. In the wake of the Lance Armstrong doping scandal, and Armstrong’s admittance that he used steroids during his run of a record seven consecutive Tour de France championships, Livestrong and Sporting KC have terminated their deal for the naming rights of the club’s stadium. Livestrong has claimed that Sporting KC had only paid $250,000 of its $1 million pledge for 2012. The original agreement called for Sporting to contribute $7.5 million over six years to Livestrong by donating portions of ticket, concession and souvenir sales. Sporting KC President and CEO Robb Heineman has strongly disputed this claim, and has stated that the $250,000 was all that the club contractually owed Livestrong. Heineman also criticized the Livestrong organization for using the media as a platform to criticize Sporting KC. Armstrong recently admitted to doping throughout his record-breaking and inspirational career in an interview with Oprah Winfrey. This interview is scheduled to be aired tomorrow. The writing was on the wall for Sporting KC when the United States Anti-Doping Agency accused Armstrong of doping and trafficking drugs, and later when Armstrong was stripped of his titles and banned from competitive cycling for life. 24-Hour Fitness, Anheuser-Busch and Nike have all ended their sponsorship with Armstrong as well, and while Sporting KC initially stood by Livestrong, Armstrong’s confession and the accusations made by the Livestrong Foundation made the decision to end the relationship easy for Heineman. It is unknown at this time if any potential sponsors have contacted Sporting KC about the naming rights to Sporting Park. The stadium recently was named as the host for the 2013 MLS All-Star game, and has also hosted several United States Men’s and Women’s soccer games. The autopsy of former Chiefs linebacker Jovan Belcher performed by the Jackson County medical examiner has revealed that Belcher was legally drunk when he shot and killed his girlfriend, Kassandra Perkins, before fatally shooting himself in the parking lot outside of the Chiefs practice facility. Belcher’s blood-alcohol level was .17 just before 8:00 a.m., around the time that he committed suicide in the Chiefs’ parking lot. This level is more than double the legal driving limit in the state of Missouri. Perkins had little to no alcohol in her system when Belcher shot her nine times following a heated argument in the home the couple shared. What is most disturbing about Belcher’s high blood-alcohol level is that he encountered Kansas City police only a few hours before his murder-suicide. Belcher had been out partying with another woman he had a relationship with, Brittney Glass, before being found in his vehicle outside of Glass’ apartment building by police around 3:00 a.m. Belcher was asleep in his running car when he was awoken by police, who allowed Belcher to go into Glass’ apartment and did not arrest him. The officers claimed they could not smell any alcohol on Belcher. Belcher would leave Glass’ apartment only a few hours later, returning home legally drunk before the fatal argument started between he and Perkins. Kansas City police were called by Belcher’s mother, Cheryl Shepherd, at 7:52 a.m. The autopsy on Belcher helps explain what is quite possibly the most disturbing episode ever involving a Kansas City sports team. With a blood-alcohol level of .17 at the time of his death, it is clear that Belcher was heavily intoxicated when he encountered police the night before, although the officers simply allowed him to sleep it off at an apartment belonging to his girlfriend, and couldn’t have known Belcher would wake up a few hours later and drunkenly drive home and confront Perkins. John Dorsey, a longtime personnel man for the Green Bay Packers, has been hired as the new general manager for the Kansas City Chiefs. The Chiefs will be hosting a press conference today in which Dorsey will be officially introduced. After a five year playing career in Green Bay, Dorsey joined the Packers’ front office, where he moved up the ranks and became a key contributor to the organization. Dorsey served as the director of college scouting from 2000 through 2012, a period in which the Packers built a talented team through the draft that consistently made the playoffs and won the 2011 Super Bowl. Dorsey spent last season as the director of football operations. Dorsey also has a close relationship with new Chiefs head coach Andy Reid. 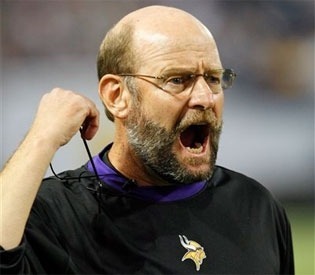 Reid was an assistant coach for the Packers from 1992 through 1998, a period in which Dorsey worked as a college scout. The hiring of Dorsey should be considered a home run by Chiefs fans. The Packers won the Super Bowl in 2011 with a starting lineup nearly entirely made up of players the team drafted, including Pro Bowl caliber players such as Aaron Rodgers, Clay Matthews, Greg Jennings, Jordy Nelson, B.J. Raji, James Jones, Casey Hayward and others. The Packers have consistently drafted well and signed undrafted free agents that have become productive NFL starters, such as Tramon Williams and Sam Shields. Poor drafting was one of the biggest criticisms of former GM Scott Pioli’s tenure, as the Chiefs often used high selections on average to below-average players and failed to build a deep roster that could sustain injuries. As the Chiefs start their rebuilding process, the team will need to draft well and add young talent to the roster. Dorsey is the right man for the job, and Chiefs fans have reason to be optimistic that things may start to turn around. 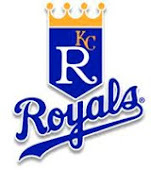 After hosting the 2012 MLB All-Star game, Kansas City has been selected to host another all-star game this summer. MLS commissioner Don Garber confirmed yesterday that his league will be having its all-star game this summer at Kansas City’s Livestrong Sporting Park. Since its opening, Livestrong Park has grown into one of the top venues to watch a soccer game in the country. Sporting KC fans have quickly become one of the most supportive and passionate fan bases in the MLS, and US men’s and women’s national games held at Livestrong have also been a success. Peter Vermes, the head coach of Sporting KC, will coach the MLS all-star team in the game. Kickoff is scheduled for 7:30 p.m. on a Wednesday night, and will be broadcast on ESPN and Univision. The match will also be shown in more than 100 countries. Tickets start at $50 for the members’ stand and rise as high as $115 for seats in the west stands. Tickets for the Shield Club start at $160. A special presale for tickets has already begun, and it is possible that the entire stadium sells out quickly. At this point, it is not clear who the MLS all-stars will actually play in the game. Since 2003, the MLS all-stars have faced top club teams from around the world, including seven matches against teams from the English Premier League. The MLS all-stars hold a 6-2-1 record all time in this format. If a European team is selected for this game, it likely will not be announced for at least another month, when these clubs begin planning and announcing their United States tours. Is Kansas City becoming a soccer town? With the Chiefs and Royals both stuck in mediocrity, Sporting KC has given fans a winner to cheer for. In this case, the support Kansas City residents have shown for Sporting and the US national teams has been rewarded. Who Will Be The Chiefs' Next General Manager? Now that Andy Reid is officially the Chiefs head coach, the team has turned its focus on hiring a new general manager to replace the recently-fired Scott Pioli. So far, three prime candidates have emerged, and the team will likely make a decision relatively soon. 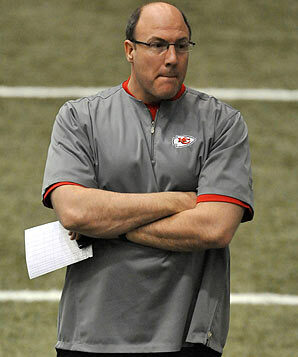 John Dorsey, the director of football operations for the Green Bay Packers, may be the hottest name at the moment. Dorsey has been a part of the Packers’ front office for 21 years, a span in which Green Bay has won two Super Bowls and has perennially been one of the strongest organizations in the NFL. Dorsey has worked under Ron Wolf, the GM who turned the Packers from a laughingstock into a juggernaut in the 90s, and Ted Thompson, the Packers current GM that has assembled a deep and talented roster. The Packers have routinely drafted well and found pro bowl caliber undrafted free agents, two key areas the Chiefs must be effective in while rebuilding. Dorsey is also a top candidate for the vacant GM position with the New York Jets; however his wife is a University of Kansas grad and an attorney with a law firm based out of Kansas City. Hopefully, this could be enough to sway Dorsey to come to KC if he gets offers from both the Chiefs and the Jets. Tom Heckert is the other main candidate for the position. Heckert served as Cleveland’s GM for the past two seasons, and did a good job of adding young talent to a struggling franchise. Heckert found himself without a job when Jimmy Haslem bought the team this year and cleaned house, suggesting that Heckert hasn’t been working in the most ideal situation over the past two years. Heckert spent several years in Philadelphia as well, and already has a strong relationship with Reid. His previous experience as a GM and ability to work with Reid make him an attractive candidate. Tom Gamble is also in the mix, although many think that he is third on the Chiefs’ list behind Dorsey and Heckert. Gamble has worked in scouting and personnel for the Colts, Eagles and 49ers, and has a knack for finding talent in the draft. The Chiefs have strong candidates for the position, although they will have to compete with the Jets as they are also searching for a new GM. 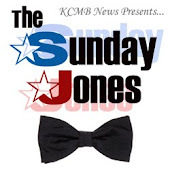 Seven vehicles were burglarized yesterday, including six police vehicles, in the area of east 76th street and Breckenridge Avenue in southeast Kansas City. Kansas City Police Major Anthony Ell, who lives in the neighborhood in which the vehicles were located, suspects that the thieves were after police radios, bullet-proof vests, uniforms and weapons. The Kansas City police department has not released what was specifically taken from the vehicles. The thieves were able to burglarize the police vehicles by smashing out the windows. Ell stated that it would be difficult for the thieves to use the stolen radios and computers without the proper police codes. The primary concern for the police department has to be any missing weapons and uniforms, as the thieves can now impersonate an officer. 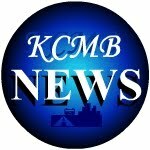 Four unmarked Kansas City police cars were also burglarized; however the KC Police Department has stated that no weapons were taken from these vehicles. The seventh vehicle that was broken into was a civilian vehicle. For those that are forced to park their car outside of a garage, this crime spree should serve as a reminder to never leave valuable items in your car overnight. The police department must also bear some responsibility – police cars are stocked with weapons, uniforms and other items that cannot fall into the wrong hands, and officers need to take further measures in regards to securing their vehicles. Police cars will always be a main target of thieves, especially when they parked sitting in a dark neighborhood and unattended. 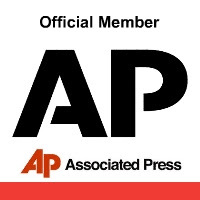 The Chiefs officially introduced Andy Reid as the team’s head coach this afternoon, ending a short search that brought the former Philadelphia coach to Kansas City within a matter of days. Now that the ink on Reid’s five year deal is dry, Chiefs fans can turn their attention to several burning matters that Reid must address. For starters, Reid will have to decide who will be the team’s general manager, an integral piece of rebuilding the team’s roster. The Chiefs have the first overall pick in this year’s draft, and thus will have a pick at the start of each round in the draft as well. This provides the franchise with an excellent opportunity to instantly inject young talent into the roster, as the weak drafting by Scott Pioli was one of the leading causes to the downward spiral the team has been on over the past two seasons. Kansas City also needs to do a better job in free agency, as the team has badly whiffed on several signings while losing valuable veterans such as Brandon Carr. While the GM is the first step to the puzzle, Reid also must decide how to assemble his new staff. 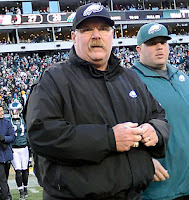 The former Eagles coach was heavily criticized in Philadelphia for some extremely questionable hires at defensive coordinator, and the offensive-minded Reid will likely need to find an experienced coach he can trust to run the defense. Finally, Reid must figure out what to do with the quarterback position. Reid has constantly had a good quarterback on his roster, whether it was Brett Favre while he was an assistant in Green Bay, or Donovan McNabb and Michael Vick during his tenure as head coach for Philadelphia. If the team does select a quarterback with its top overall pick, Reid and his staff will have to devout time and energy to helping the player develop. If the Chiefs decide to move in a different direction, Reid and his new GM will be forced to find a veteran who will provide a significant upgrade from Matt Cassel and Brady Quinn. That shouldn’t be hard to do, as there are several good veteran quarterbacks looking for a starting shot this offseason. Reid has a lot of work to do, and Chiefs fans should be excited that a new era has begun in Kansas City. The next several weeks will be interesting to watch. Yesterday, we compiled a list of possible coaching replacements for the Chiefs, and it appears that the team has begun to conduct interviews and move forward in the hiring process. Yesterday, the team interviewed former Philadelphia Eagles head coach Andy Reid. Reid was not included on our previous article because it was widely believed that he was taking the vacant head coaching position with the Arizona Cardinals. Reid is still scheduled to interview with Arizona, but meeting with the Chiefs first may signal that the two parties’ interest in one another is strong. Reid, who is 55, was the Eagles head coach for 14 seasons. In that time, Philadelphia won six division championships and made five NFC title games. Reid also guided the Eagles to a Super Bowl appearance, where the team lost by a field goal to the New England Patriots. Reid’s tenure in Philadelphia ended on a sour note, however, as the team failed to live up to lofty expectations in 2011 and had an awful 2012. Would Reid be a good fit in Kansas City? He is an offensive-minded coach who has developed several Pro Bowl quarterbacks, which may be exactly what the team needs at the moment. However, the way the Eagles massively underachieved over the past two seasons has to be a giant red flag, and Reid will not have the talent at his disposal that enjoyed in Philadelphia for most of his time there. In other coaching news, Falcons’ offensive coordinator Dirk Koetter has announced that he will be remaining with the Falcons. Koetter was rumored to be high on the Chiefs’ list. Kansas City apparently is interested in one of Koetter’s coworkers – Falcons special teams coach Keith Armstrong. If the past couple of days are any indication, it looks like Clark Hunt is open to both former head coaches and top coordinators. It will be interesting to see which candidates the team brings in for an interview in the near future. Who Will Be The Next Head Coach Of The Chiefs? 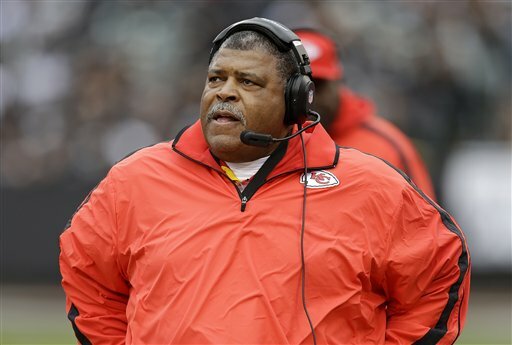 Now that Romeo Crennel has been fired, Chiefs fans can focus on who will be leading Kansas City next season. Several coaches lost their jobs this past Monday, which means there are several open positions across the league. It is important to note that while the Chiefs still have not made a decision on the fate of maligned general manager Scott Pioli, chairman Clark Hunt will be directing this coaching search. Hunt has stated that he would like to find a younger coach who could be with the team for a long time, and many speculate that he will try to find an offensive-minded coach, especially if the team drafts a quarterback with its first overall pick in the 2013 NFL draft. Hunt’s control of the situation also likely eliminates coaches that Pioli has ties with, such as Iowa’s Kirk Ferentz and New England’s Josh McDaniels. One name that has surfaced is Bruce Arians, and while he doesn’t fit Hunt’s desired age range, he would be a strong fit for the Chiefs. 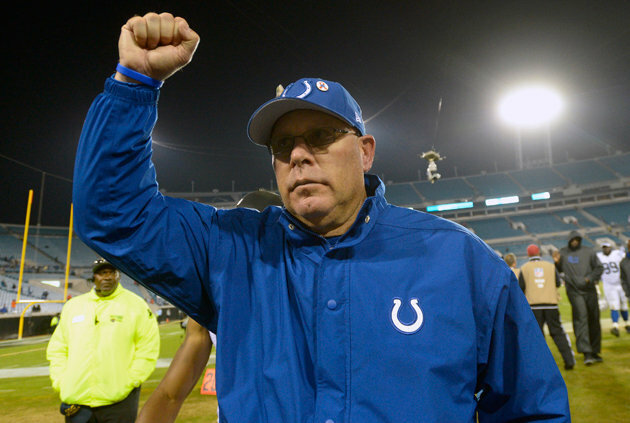 Arians performed well as Indianapolis’ interim head coach this season, and he helped develop Andrew Luck. Arians has also worked with the likes of Peyton Manning and Ben Roethlisberger. Other offensive minded coaches include Mike McCoy, the offensive coordinator of the Denver Broncos, Dirk Koetter, offensive coordinator of the Atlanta Falcons, and Jay Gruden, offensive coordinator of the Cincinnati Bengals. Washington’s Kyle Shanahan could also be in the mix, however Hunt may be concerned with how young he is (only 33) and the fact that he is the son of the man who coached the rival Denver Broncos to two Super Bowl victories. If the Chiefs decide to go with a defensive-minded coach, Perry Fewell of the New York Giants would be a great fit. Fewell has routinely developed one of the top pass-rushing attacks in the league, and could help Kansas City’s young defensive lineman develop and find ways to maximize the talent of Tamba Hali and Justin Houston. Cincinnati’s Mike Zimmer may also be a possibility. The hottest name from the college ranks has to be Oregon’s Chip Kelly, who has developed one of the most lethal offenses in college football history and could be a Jim Harbaugh-type that wins big both in college and in the NFL. There is a deep pool of head coaching candidates this offseason, however the Chiefs will have to compete with several other franchises that all finished with a better record this past season. The team may not get its first pick, but Hunt will certainly have plenty of options.